Hi. I've just reached out to our I.T. with regards to deploying PN in our company Azure portal. My question is will PN work if our I.T. provided us VM environment running in Azure? As i've tried your one click "deploy to azure" button using a trial account, and it doesn't look like it's using a virtual machine perse hence i'm little confuse if PN will run in a VM. If it will indeed run. Was wondering what is the minimum VM settings required like what OS it need? Deploy to Azure creates a Web App and an Azure SQL DB. Every site I personally deal with in production environments use that model (App Service Plans and SQL DB performance levels vary as needed, of course). You can certainly run it in a VM. The requirements are more on the PHP side of the equation than the OS build. PN will even run on Linux VMs provided that you have PHP 7 or higher and the matching build of the SqlSrv extension loaded. For Windows VMs, we recommend using the Web Platform Installer to load PHP and SqlSrv extension. Hardware requirements are also dependent on your traffic and performance requirements rather than the software itself. 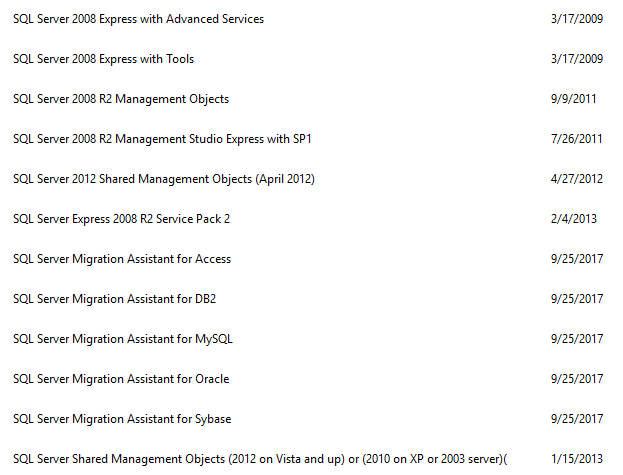 If you are going to run SQL Server locally on the VM, then you need to build around those requirements. Otherwise even 2GB of RAM would be a starting point without SQL. Quick question about the Web platform installer. Upon installing that in our VM. Is it just a matter of uploading the PN zip file to appropriate folder? Or there's some more MS SQL setup we need to do? Or better yet, do you have any step by step process on how to deploy PN within VM in Azure? You need SQL of some type available (on same server, different server, or use Azure SQL DB), and it needs to be in Mixed Mode Authentication. An empty database needs to be created, and you need a user with dbo access to it. IIS needs to be installed. Using your browser of choice, try to connect to your VM. The installation should begin. Should be self-explanatory from that point. Thanks Patrick. Will follow these steps and will report back soon. @kilasuit if you can add the option to install PN on a single VM instance, that would be amazing! Please do let me know if it's coming! Would love to try that out. @patrickebates just got my VM installed with IIS. I'm about to install Web Platform Installer. Do i select wordpress in there and install it? Or just select PHP7.2 and SqlSrv to install but no wordpress? Also if my MS SQL will be in another server, how do i connect it to my VM so when i install PN, it would know where to point to that database? Thanks! PHP 7.2 and the SQL drivers. Do not install Wordpress. Just download the latest release of PN and unpack into your C:\inetpub\wwwroot, after you empty that folder first. Then open a browser and connect to your VM to start the installation. You will enter your DB connection info during setup, including the server address. On Apr 4, 2019, at 11:21 AM, mikeman23 <notifications@github.com<mailto:notifications@github.com>> wrote: @patrickebates<https://github.com/patrickebates> just got my VM installed with IIS. I'm about to install Web Platform Installer. Do i select wordpress in there and install it? Or just select PHP7.2 and SqlSrv to install but no wordpress? Also if my MS SQL will be in another server, how do i connect it to my VM so when i install PN, it would know where to point to that database? Thanks! — You are receiving this because you were mentioned. Reply to this email directly, view it on GitHub<#336 (comment)>, or mute the thread<https://github.com/notifications/unsubscribe-auth/AEJ8JlVEp64Xi3FnxtHzsyH5h4qy5N4Iks5vdiaGgaJpZM4cB-r8>. @patrickebates do you know which SQL drivers to choose from in web platform installer? I would recommend the newest version that matches both your platform (x86 or x64) and your version of PHP. That should be everything you need. If you check phpinfo, is the SqlSrv module listed?